In this week’s Horizon, Jonathan Ananda asks four questions we must answer before making a leap into a cashless economy. About 16 km from Coimbatore, in a fast developing and predominantly agricultural locality called Thondamuthur, Anandi gets her two children ready for school — a routine unchanged for the last seven years. But in the last week of November 2016, there is one change. Anandi needs to get the children out of the house by 7 am, an hour earlier than usual, because she needs to go stand in the line outside her bank before it opens for the day. The small stash of hundreds she had withdrawn last week is running out. Anandi is a domestic servant, agricultural worker, and an occasional flower vendor. She is among the 26 per cent of Indians policymakers call illiterate. Her family does not own a smart phone. Anandi’s situation stands in stark contrast to the Narendra Modi government’s rhetoric over the last few weeks that India is poised for a leap into a “cashless economy”, a leap that no developing nation has dreamed of trying. 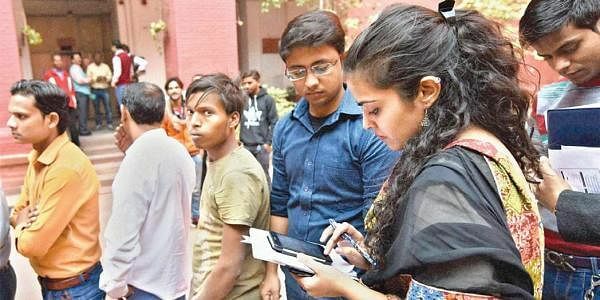 She personifies the barriers that a nation of 1.3 billion needs to cross before reaching that brave new world: illiteracy, inadequate smart phone penetration, absence of a pan-India, seamless high-speed data network and millions of unbanked people. How will Anandi make that leap? In the days following the Nov 8 demonetisation of `500 and `1,000 notes, newspapers were plastered with full page ads by online financial technology firms which wanted to cash in on the sudden withdrawal of 86 per cent of the currency in circulation. The weeks subsequently saw the same firms announce immense jumps in their subscriptions and transactions. But the geographical spread of these was not disclosed. In response to an email query from New Indian Express, Paytm, India’s market leader in the mobile transaction space, claimed that nearly 50 per cent of its transactions now were coming from smaller cities and towns. “Thousands of kirana store owners, vegetable and fruit vendors, food stalls, pharmacies and many more merchants across India’s semi-urban and rural areas now accept Paytm…. and after introducing the Paytm android app in 10 regional languages, we are expecting that share to grow to around 70 per cent,” said the company’s spokesperson. But cities and towns, however small, only account for a little over a quarter of the Indian population. According to the 2011 census, 72.2 per cent of Indians still live in villages, none of which is covered by online grocery firms. Big Basket is India’s largest online supermarket, but according to its CEO Hari Menon, the company does not have any presence in rural areas. “We do not operate there. In our urban markets, however, we have seen a 50 per cent jump in sales after November 8,” he said. The story was the same for other online retailers. Transactions jumped, but the large majority of the Indian population does not have the option to turn online, even if they wanted to. But where are the banks in villages? But the most immediate hurdle, an operational one, that needs to be acknowledged is the fact that banking infrastructure on the ground is currently incapable of handling a cashless economy. According to the latest RBI data on cards and point of sale terminals (for August 2016), there are a total of 26.37 million credit cards and 712.46 million debit cards in use. However, the overwhelming majority of debit card transactions (85.2 per cent) were done at ATMs to withdraw cash and not at point of sale terminals. “The current split between PoS terminal and ATM transactions are incongruous with the vision of a cashless India,” admitted a board member of a leading private sector bank. 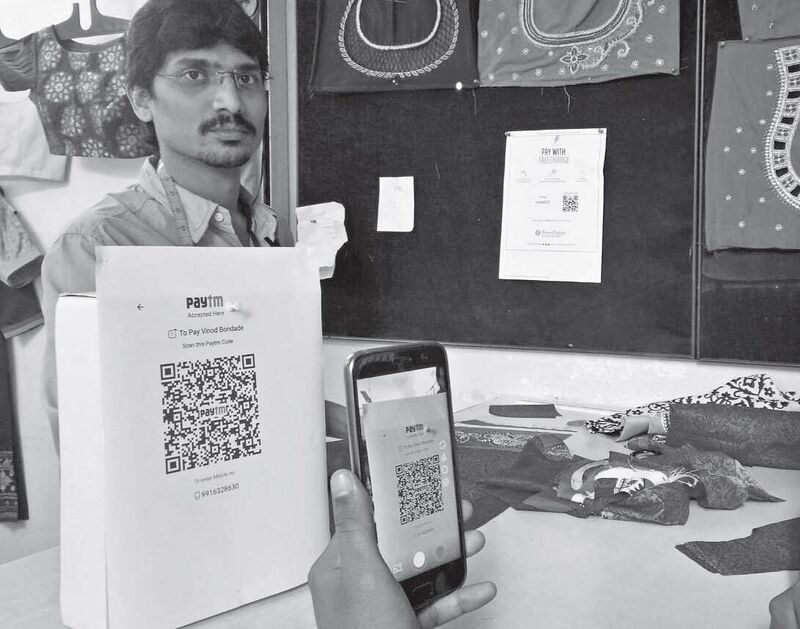 To turn potential customers like Anandi towards using plastic money for their day-to-day use, the number of PoS terminals and card swipe machines must first reach levels that India’s peer countries have reached. Currently, RBI data records just 1.46 million PoS machines across the entire country — less than 86 per one lakh Indians. Brazil, in comparison, has 3,299. And while the RBI does not provide data on the split between urban and rural regions for PoS machines, bankers say they are predominantly urban. The government has tried to implement measures to correct this shortfall. On Dec 8, Finance Minister Arun Jaitley stated that the government would provide two PoS terminals to every village with a population of less than 10,000. But an idea of the explosion necessary in PoS machine distribution can be ascertained by RBI’s estimation, as long ago as last December, that India required “at least 20 million” — a 13.6 fold increase. This was before the government’s policy turn toward making India cashless. What if I made wrong entry? If the lack of physical infrastructure is a gaping gap in the Prime Minister’s cashless policy, the consequences of the lack of operational framework to address problems arising from hundreds of millions transacting online everyday is frightening. The problem of transaction costs, surcharges and service taxes on digital transactions continues to exist, despite the government removing or relaxing several of these on Dec 8. “Ideally, the government should re-route gains made from the cash management costs and others to banks so that they can provide transactions at zero charge,” says agriculture economist Vijay Sardana. “Banks just do not have the means to provide zero-cost transactions the way balance sheets look now,” added the private sector banker. But these are the easy problems. “What are the redressal mechanisms in case of mistaken entries? How long will it take to refund such an error? And most importantly, where does the liability lie in case of errors? These are all incredibly simple but absolutely essential questions that need to be asked before considering such a move,” pointed out Sardana. “The beauty of having cash in hand is that if you or I accidently pay a couple of hundred extra, we can immediately rectify it. How will a mistake of one extra zero accidentally added be resolved when you transact online? How long will it take? Such a system needs to come with strong liability clauses,” he said. Security is also an issue. Cyber crimes and frauds have risen, with hackers proving difficult to track down after heists. Just a few months ago, the Indian banking system admitted to a data breach that saw nearly 3.29 million debit and credit cards compromised. But, 83% Indians have no smart phone? Indispensable to any shift to a tech-enabled transaction system is literacy, generic as well as digital. And in the current technological environment, a working knowledge of English. There was an implicit acknowledgement of this very real barrier in the slew ofannouncements the government made on December 8; one of them was that a web portal and a TV channel, Digishala, would be launched to increase awareness on transacting digitally. But the task is monumental. Reports peg Indians with such knowledge of English at just 10% of the population. Digital literacy and access to the internet is even worse. According to a report from NASSCOM, India had approximately 330 million internet users as of 2015 and even the best estimates put the number of internet users by 2020 at only around 730 million — 56% of the current population. Data from the Telecom Regulatory Authority of India (TRAI) put the number of internet subscribers in India at 342 million as of March 2016 -- a penetration rate of 27%. More than 912 million Indians do not have internet. Of those who do, only 13 per cent live in rural areas. Even the penetration of smart phones is insufficient to support a cashless economy. A survey by Pew Research released in February put the rate of smart phone ownership among adults at just 17% , of which only 7% come from low income households. Internet speeds are also far behind global standards. TRAI says that only 15% of 1.02 billion mobile subscribers have broadband level connections.